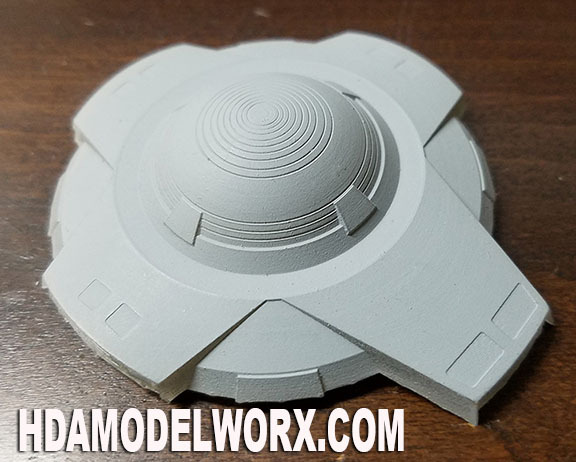 Designed by long time studio model researcher and 3d artist, Ron Headley, this replacement planetary sensor, for the Polar Lights 350 Scale USS Enterprise Model kit, is highly accurate and detailed. Complete with all the major details seen on the studio model. This sensor comes with inscale accurate dome details, vents, line etching, light port greeblies, light port size, corrected slope, thickness, size and height. 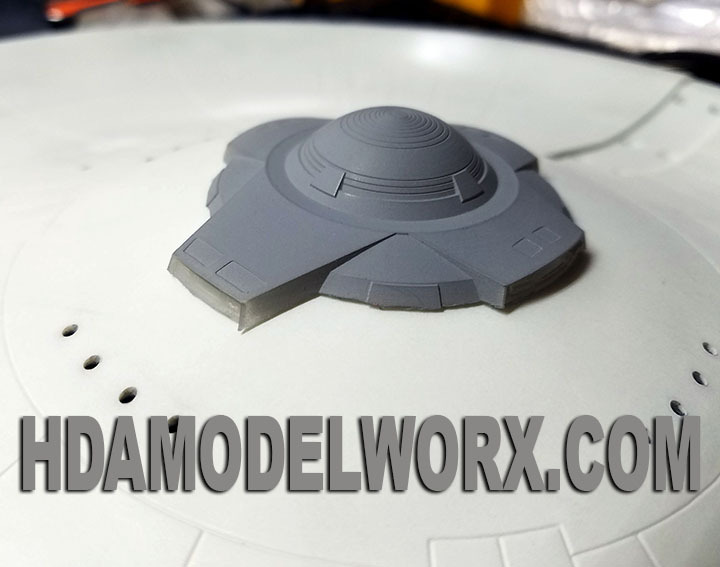 Many details are difficult to achieve at this scale, but have been designed based upon how the studio model details would scale down to 350 scale in size.